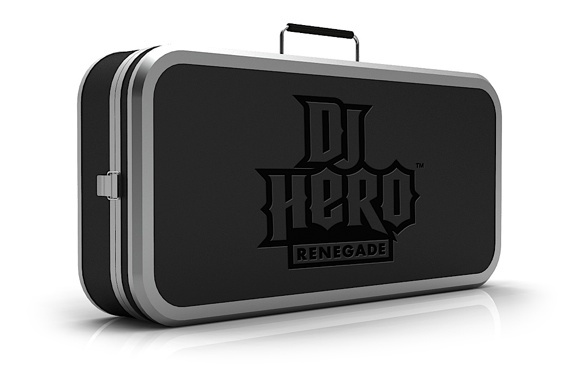 If you have the urge to spend even more than $120 for DJ Hero, we've got great news. When the game launches, you'll have the option of picking up the "Renegade Edition" of the game, which includes a special turntable, a hardshell case that converts into a stand and a two-disc CD set of Jay-Z and Eminem music that features some previously unreleased tracks. Not that this comes as a complete surprise. Now, we could take or leave the CDs (Music that you don't pretend to play? What, is it for babies?) but the case/stand actually sounds pretty slick. Here's hoping the price (which we have no clue on, naturally) is right.